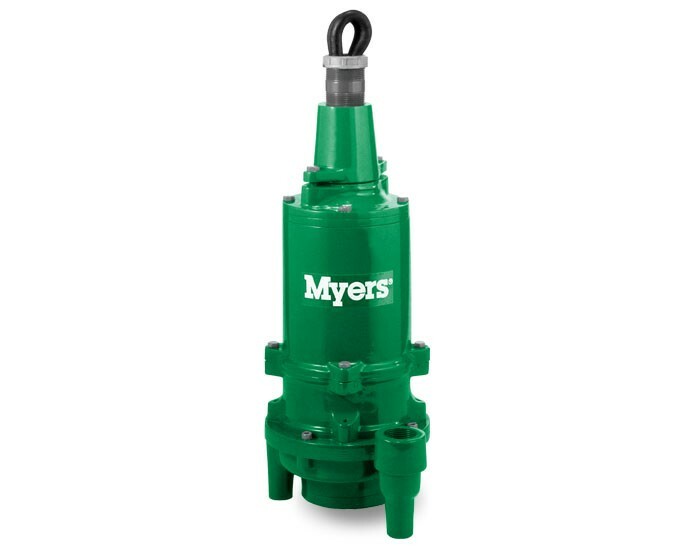 The Myers WG/WGX20 Series by Pentair are rugged 2 horsepower submersible centrifugal grinder pumps designed for residential, light commercial or industrial applications. 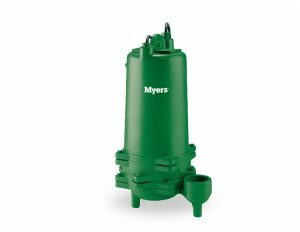 It is especially suited for use in pressure sewer applications or in systems with long discharge runs or high static heads. 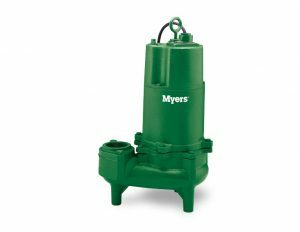 The WG/WGX20 Series features a recessed impeller design to efficiently grind typical domestic sewage solids into a fine slurry. Pressure to 105 feet of head and flows of 70 GPM. Standard or high flow designs. High torque capacitor starts single phase motor for assured starting under heavy load. Seal moisture sensor warns of leak condition, prevents costly motor damage. Shredding ring and grinding impeller are replaceable without dismantling pump or motor. For pump specifications and technical data, WG20 and WGX20 series brochure.